Richard C. Dreyfuss, an actuary and business consultant, is an adjunct scholar with the Mackinac Center for Public Policy. He is also a senior fellow with The Commonwealth Foundation, a free-market think tank in Pennsyvania. 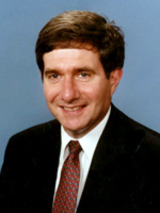 Prior to his retirement in 2002, Dreyfuss worked for The Hershey Company, formerly Hershey Foods Corporation, for 21 years, and he held numerous positions, including director of compensation and benefits. He is currently active in public policy matters, having testified in Washington, D.C., and Harrisburg, Penn., and having served as chair of the Pennsylvania Healthcare Cost Containment Council in 2001-2002. He focuses on developing human resources and governance policies; designing effective compensation and benefit plans; process re-engineering; and advocating strategies to manage long-term employee benefit costs, especially in the context of sound public policy. Dreyfuss is a graduate of Connecticut College, having received a bachelor af arts degree in mathematics and economics, and he earned a master's degree in actuarial science from Northeastern University.